World-leading drinks company Diageo sold less Scotch whisky in its latest financial year, but reported a ‘significant improvement’ in the performance of brands such as Johnnie Walker and Buchanan’s. The owner of many of the world’s most popular Scotch whiskies, including J&B, Bell’s, White Horse, Talisker and Lagavulin, said its Scotch revenues were flat in real terms in the year to the end of June, at just over £2.5bn. Volumes fell 3%. The company’s blends, responsible for the lion’s share of its Scotch whisky business, all recorded improved performances compared to the previous year, except for J&B, where recent declines worsened. However, there were still volume falls almost across the board, including for Johnnie Walker, Buchanan’s, J&B, Windsor, Old Parr and White Horse. Bell’s was flat, while Black & White recorded strong growth. Diageo’s malts, meanwhile, recorded 8% volume growth and were up 7% in revenue terms, representing a slowing of the double-digit growth registered in the previous year. World-leading Scotch whisky Johnnie Walker’s volumes declined by 4% in the year (improving on last year’s 6% fall), but underlying revenues returned to growth thanks to increases in North America, Europe and Latin America & Caribbean. 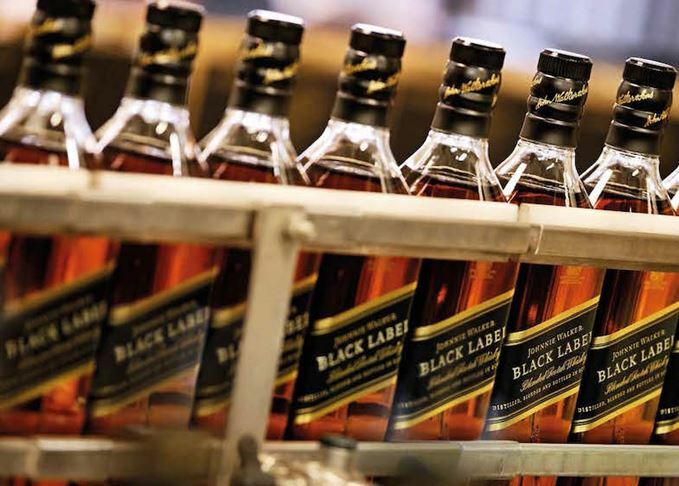 Johnnie Walker’s more expensive reserve brands – including the likes of Gold Label Reserve, Blue Label and newly relaunched Green Label – were up 10% in revenue terms. The slump in China continued with a 42% fall in Diageo’s Scotch whisky sales, but revenues rose 17% in India, the company reported. It said trends were more positive in North America, Europe and Latin America/Caribbean, but reported declines in Africa and Asia Pacific. Diageo re-emphasised the importance of continued open access to the markets of the European Union (EU) following last month’s Brexit vote. ‘Following the UK’s vote to leave the EU, Diageo is working closely with government and industry bodies to ensure its views are reflected in the transition process,’ the company said. How much do blended Scotches change over the decades? A rare tasting sheds light on the subject.